I was certainly intrigued by this concept. 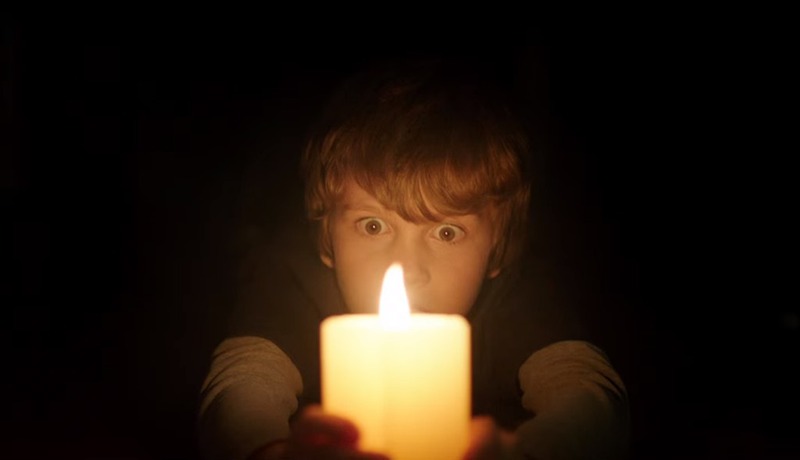 A malevolent spirit that disappears in direct light but is deadly in the dark, who seems to be haunting a small family, that of a single mother and her little boy. When said boy turns to his older, rebellious sister for help after one too many strange goings on, soon an investigation ensues … subsequently causing the family to look into their own past in the process. Whilst fairly simple in it’s idea I did find this pretty unnerving throughout what with an evil spirit seemingly capable of jumping out from any darkened corner or darkened room. The maker’s had a field-day with this idea and I certainly got a kick out of the various ways the idea was explored, complete with an effective ‘shooting at the ghost’ sequence. However the frights don’t exactly come thick and fast and rely a little too much on loud noises and character reactions more than being scary in their own right … which they are but the other stuff dilutes the experience somewhat. Also I wasn’t keen on the occasional times the spirit spoke … again diluting the scariness by giving it too much character (the remake of ‘Ring’ had a similar misstep). The casting is pretty decent, although only Maria Bello is recognisable but suitably unhinged as the troubled mother. I also thought the young actor playing the boy was above average. Add to this a complex turn from Teresa Palmer who manages to be more than a typical, moody twenty-something. The final act is also solid and full of action with some novel twists on the concept. But I did hope for a bit more light to be shed on the spirit’s origins, which sadly is ignored in place of a rather ballsy ending. So despite good intentions, this doesn’t quite reinvent the horror movie and is a bit too Hollywood with some of its scares … but regardless this was still a suitably creepy and entertaining experience. This entry was posted in Cinema, Hollywood, Horror Reviews, Movies, Reviews, Thriller Reviews and tagged David Sandberg, James Wan, Lights Out, Maria Bello, Teresa Palmer by Craig M. Bookmark the permalink.